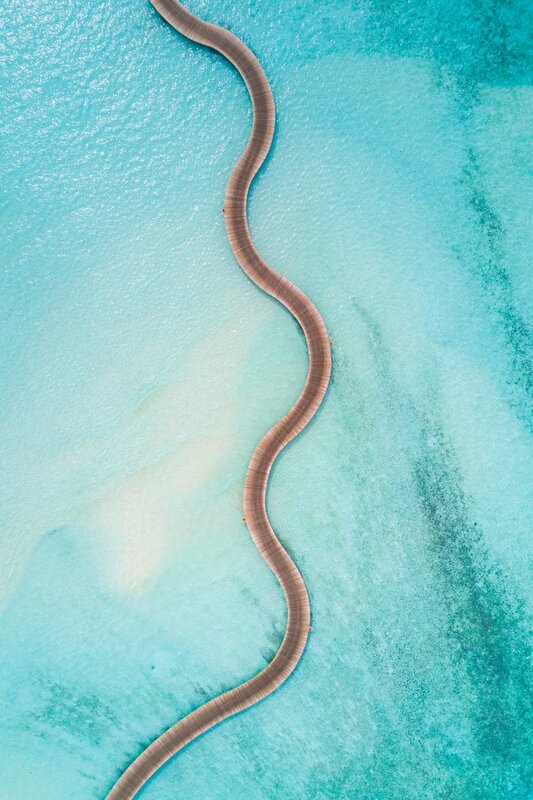 There are many luxury hotels in the Maldives, but Soneva Jani's exceptional amenities paired with its commitment to sustainability may just make it the best. Soneva Jani is one of those hotels that has always been on my bucket list. Occupying its own island, it stands out as something special, even in this country full of upscale resorts. 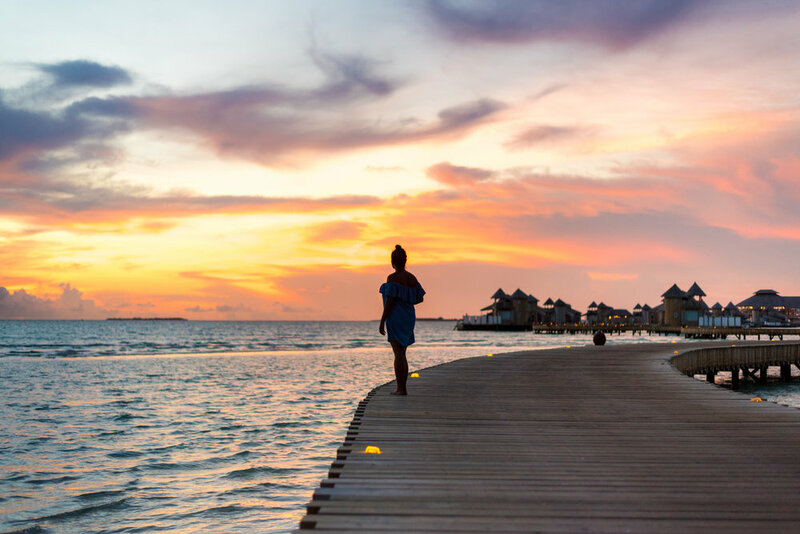 Many of these island resorts have picturesque villas sitting on stilts over the water, stunning scenery and special amenities, but Soneva Jani takes this to a new level. 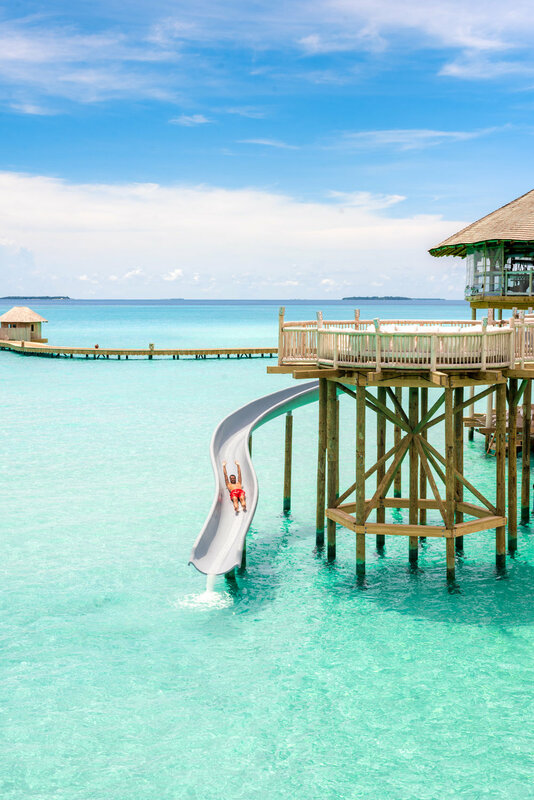 From the adult friendly water slides, to the overwater cinema, Soneva Jani exudes a slow life and lives by an ethos of treading lightly on the Earth...did I mention most of the resort is “over-water?” We had to stay there while we were in the Maldives. We arrived to Soneva Jani via a speedboat and landed at one of the island’s docks. Let’s just say our first impression rivaled that of a 4 year old walking through the Disneyland gate for the first time -- we're were amazed! Villa after villa floated above the water, each with waterslides coiling down into the ocean... yes waterslides into the ocean! This was an adult playground in a setting that was elegant, luxurious and fun! At the dock, our “Mr. Friday,” whose job title nods at Robinson Crusoe, introduced himself as our personal tour guide and host. He whisked us away through the winding planks of the over-water section of the resort in a golf cart to our beachside villa. Currently this is the only one on the island, although they do have plans to add more. We weren’t complaining about having dry land to ourselves though. The island is huge and is the quintessential tropical paradise. Despite its large size, most of the amenities were actually built on the water. We had much to discover! We walked up the small walkway to a stunning piece of architecture. Our beachfront villa was huge and felt more like 3 villas put together with a large pool (and of a course a waterslide) connecting everything together. Our villa was private and spectacular. It made me wish we had a dozen of our closest friends and family with us. Soneva Jani is the type of place you want to experience with those you love. Soft colors of blue, teal and white-washed wood set the ambiance, as thoughtful details like trunks, frames and other trinkets gave the villa a comfortable, homey vibe to it. While the pool was Chris’s favorite spot in the house, mine was the large, wrap-around couch sitting in front of the pool. This couch could easily fit 20 people. Oversize pillows adorned every nook and interesting architectural elements filled the space. You can tell this was a villa that was very well thought out and left nothing for its guests to need or want. Sure, we could have easily spent each night in 1 room, but that would have been silly, considering we had 4 bedrooms from which to choose, with equally stunning outdoor bathrooms! So we hopped around each night looking for our favorite space and bed. Our multi-level home for the few days on Soneva Jani was pure indulgence and definitely the stuff my “Beach Dreams” are made of. Inside the island is a maze of white, sandy roads that get guests to all the different areas of the property, and these make the bikes the perfect mode of transport. The hotel was running at high occupancy while we were visiting, however, except for the tire tracks on the sand (from other people’s bikes and the hotel’s golf carts) we would never have known that we didn’t have the entire island to ourselves. I love the way the amenities are organized around the island. 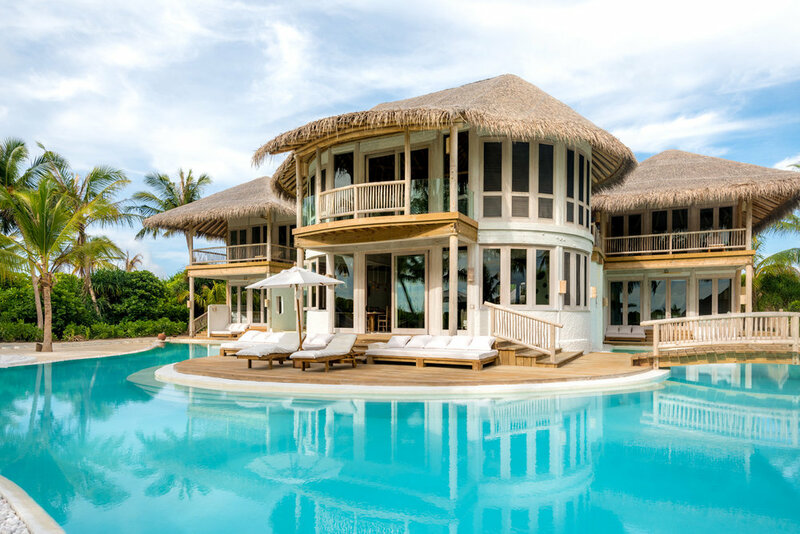 The heart of the property is at The Gathering, which is a three-story structure far out to sea and about halfway along the piers that connect the overwater villas. It is home to various dining outlets as well as the spa, library, retail area and wine cellar. It is located next to the observatory...yes they even have an observatory built over the water where you can star gaze with their in-house astronomer! Another fun feature is the hammock set up in the middle of the water. Make sure to try your luck at reaching it. At low tide, it’s easy to get to but it is always difficult to get into! The property also shares the space with some very shy local inhabitants: giant crabs! They stay in their sandy holes during the day, but at night they come out and invade the island. From the safety of our golf cart, and with the help of our eagle-eyed Mr. Friday, we had fun making our way through the mangrove forests and coming across these oversized crustaceans. Indulgence continues with Soneva Jani's dining. Breakfast is an amazing event that you should let last for a few hours. 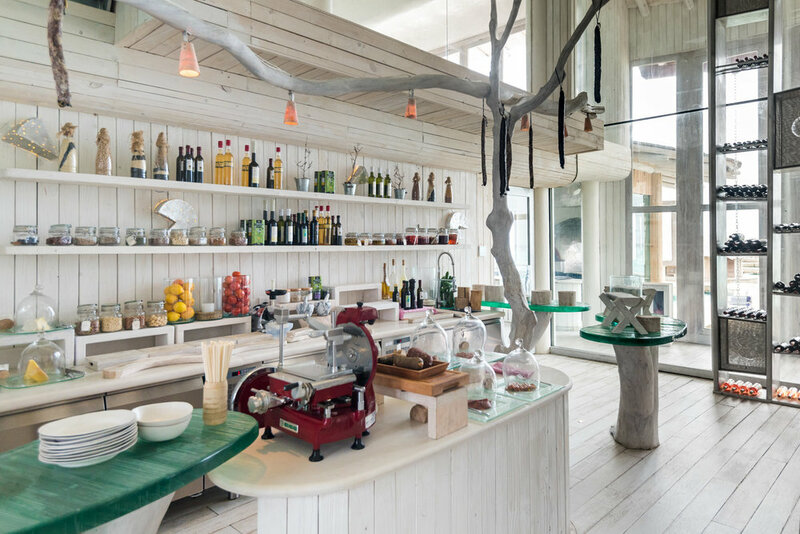 Soneva Jani has a beautiful buffet with an almost embarrassing array of different options ranging from healthy and nutritious (think green bowls and smoothies), to countless tasty treats from across the globe. They also have an à la carte menu where you can order things like eggs benedict and pancakes. 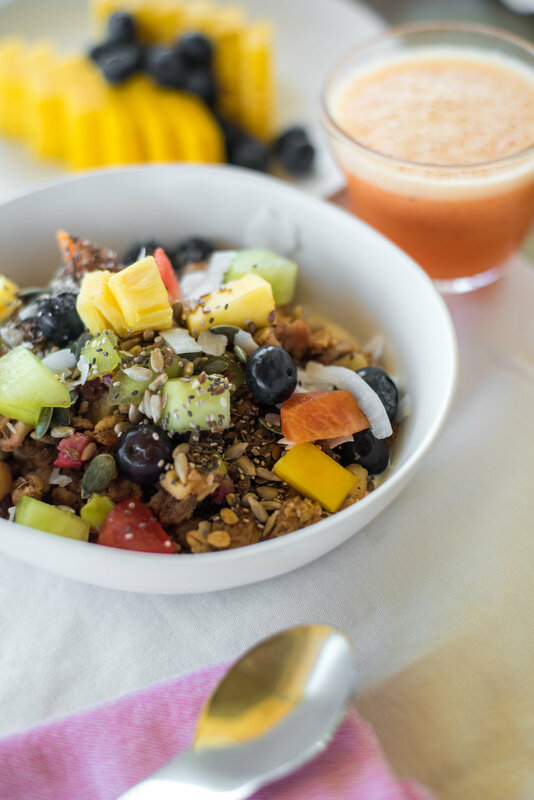 Health and well-being is taken very seriously here, so you while no one will be disappointed, the options are largely skewed towards meals which are good for you. Their huge selection of healthy juices for example, are a delicious way to cool down. There are many more restaurants than you could reasonably expect from a remote desert island, and dining at the Cinema Paradiso was our favorite. One evening, Mr. Friday took us - via golf cart - to the opposite side of the island. He led us down toward the water to a stunning overwater paradiso, which faced the huge overwater cinema screen! Here we were treated to an outdoor BBQ, as well as a beautiful buffet of fresh salads, curries, sushi and other Asian favorites. After dinner we had ice cream and watched a movie under the open sky while the ocean lapped around us. Lunch on the private island of Zuhairs is another thing that cannot be missed. We took a small boat to the private beach where a chef was waiting to make us a traditional Maldivian meal of tuna soup and curry. Sitting in our bathing suits- check. Staring out at the ocean and with warm sand under our feet – check. Delicious food cooked by our own personal chef – check. All this on a private island – check! This was the definition of “Barefoot Luxury,” and was something we were starting to get used to here! While we were at their sister property - Soneva Fushi (where we had been prior to visiting Soneva Jani), we discovered that they had an ice cream parlor that served some of the best gelato and ice cream we’ve ever had. Even better, they also had a chocolate room, with all kinds of chocolate creations. Both were available whenever we wanted, and so when we saw that here they had the same, we were pretty excited! It is the icing on the cake (or perhaps the chocolate on the ice cream) in what had been an excellent food experience at the resort. 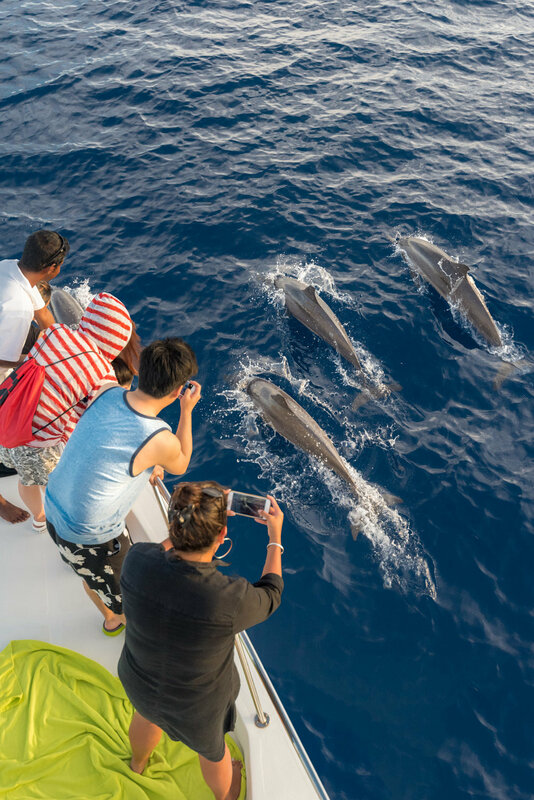 While the resort’s main attractions are its beautiful beaches, villas and restaurants, there are a range of other things to do if you are staying for a while. There are all sorts of water-based activities available, such as diving, snorkeling and kayaking. You can take cooking classes, relax with a good book in the library, or even get lost in the maze. 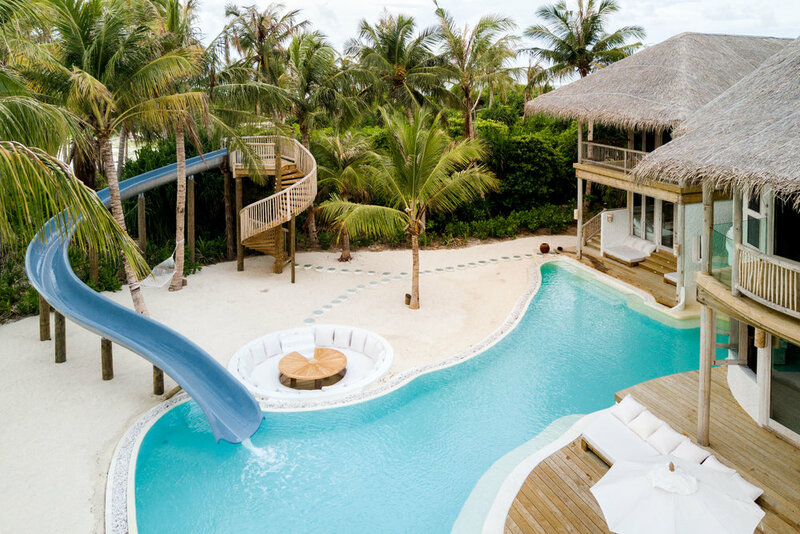 In truth, we were just so captivated by our villa that we spent our days lounging by its pool and on the beach, and of course playing on the water slides! There was one amenity that we made it to though – The Spa. Like The Gathering, this is located over the water and it is another example of the stunning architecture of this hotel. We went in for a couple's massage, and instead of just ordering a massage from the menu we talked with the therapists. We explained where we had aches and pains, and told them about our favorite types of massage. The result was a custom massage designed just for us. It really was lavish and luxurious! Soneva is a luxury hotel brand with two properties in the Maldives and one in Thailand. Besides providing their guests with a special experience, they have a strong commitment to doing the right thing. 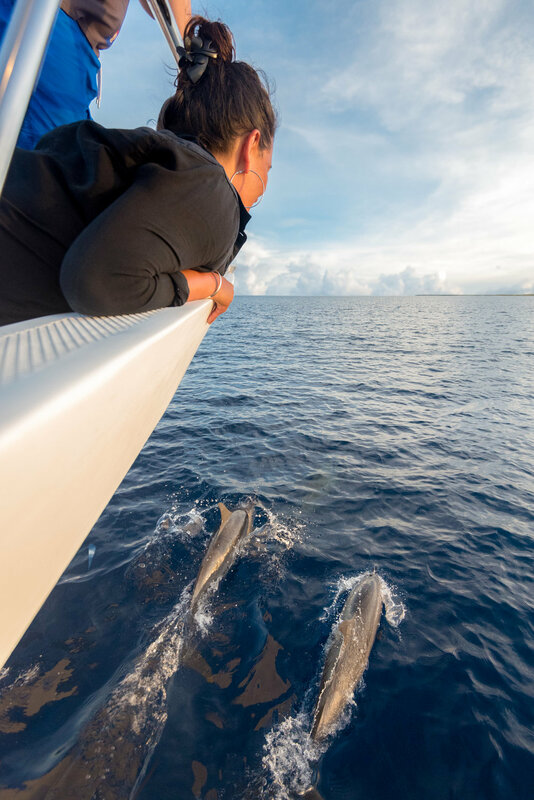 They recognize that their properties occupy some of the most spectacular places on earth, so they see themselves as guardians of these spaces, and do their best to protect them. They offset their carbon footprint with charity initiatives, they use recycling and sustainable food sources to limit their environmental impact and even organize international conferences to help educate people about slow living and sustainability. This all made the place feel that extra bit special. I challenge you to find a more luxurious place than this. If you’re familiar with the Soneva brand you’ll know exactly what to expect - thoughtful, environmentally friendly perfection, all taking place within stunning villas and across some of the most spectacular locations this planet has to offer. To get the best of the Soneva experience, we recommend visiting both of their properties in the Maldives. They both have something different to offer while being united by the same elegant thread. 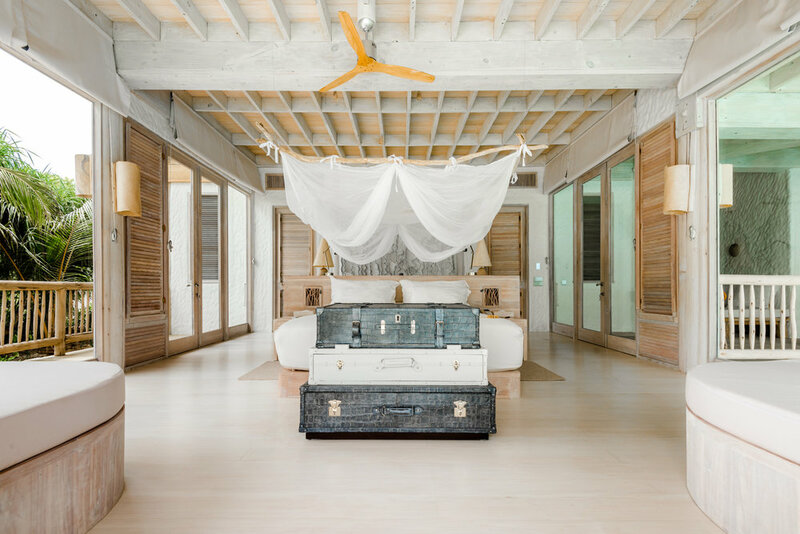 Soneva Jani feels more exclusive, and a little bit more luxurious. You really can’t do better than this if you want to spend some time in paradise.